Choo choo! 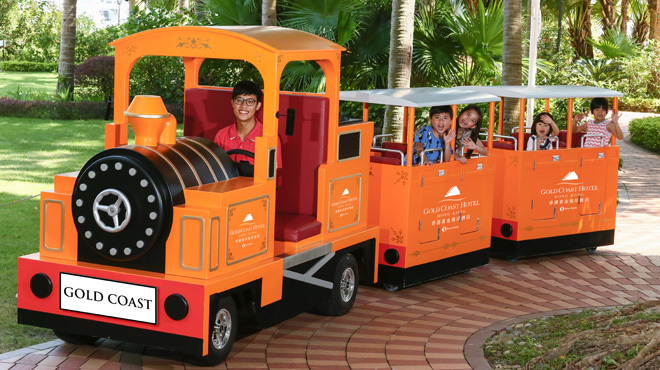 Hop on Hong Kong’s first hotel outdoor mini train and enjoy a scenic ride around the beautiful outdoor gardens. Running at a kid-speed pace, the two-wagon trackless train is wonderful entertainment for children aged between 3 and 9, making little train lovers’ dreams come true. Mini train ride service is subject to weather conditions and outdoor events and may be cancelled without prior notice.